Audi restart: Against the background of the transformation of the automotive industry, the Four Rings want to make use of available potential with a new, focused strategy. Audi is thus also drawing conclusions from its unsatisfactory performance in 2018. Impacted primarily by the changeover to WLTP, operating profit before special items amounted to €4.7 billion. The corresponding return on sales was 7.9 percent and thus not within the target corridor. With the inclusion of negative special items of €1.2 billion from the diesel crisis, operating profit amounted to €3.5 billion, equivalent to a return on sales of 6.0 percent. With the successful Audi Transformation Plan, the premium manufacturer was able to offset some of the high financial burdens. In the context of deconsolidating multi-brand import companies at the beginning of 2019, the company increased its long-term strategic target corridor for operating return on sales to nine to eleven percent. The current financial year will be dominated by Audi’s electrification initiative. Due to numerous challenges, 2019 is expected to be a transition year for the company with an operating return on sales forecasted at between 7.0 and 8.5 percent, which is still below the new long-term target corridor. Deliveries of the brand with the Four Rings are expected to increase moderately. The company anticipates financial burdens above all from managing the WLTP transition, high ramp-up costs, enormous advance expenditure for electric mobility and the increasingly difficult macroeconomic environment. With the Audi Transformation Plan, the company implemented measures in an amount of €1.9 billion in 2018. Of that amount, €1.1 billion had a positive impact on operating profit as far as comparison with 2017 is concerned. Primarily as a result of cost discipline with regard to overheads, the company was thus able to partially offset WLTP distortions and expenses from the diesel crisis. The program for earnings improvement includes measures for reducing costs as well as for increasing revenue. “The Transformation Plan is making a significant contribution towards safeguarding our future. Because only in this way is it possible for us to transfer enormous resources into future areas and generate the cash flow to finance electric mobility,” says Alexander Seitz, Board Member for Finance, China, Compliance and Integrity. “In view of the required progress, we are increasing our target over the planned period to around 15 billion euros.” Audi has already decided on concrete steps for earnings effects of more than €10 billion in the period of 2018 through 2022. In a new work package of the program, Audi will optimize its capital employed with a view to the long-term increase in the company’s value. In recognition of their commitment in the very difficult year 2018, Audi’s employees will participate in the company's earnings. The Audi profit sharing bonus for a skilled worker at the plants in Germany for the year 2018 is €3,630 (2017: €4,770). This amount is based on the formula laid down in the collective agreement. The company has adjusted the payment for financial year 2018 to offset the effects of the earnings-reducing fine, and has thus increased the amount. Regulations on profit sharing exist also at the Audi subsidiaries. For internal steering, the impact of vehicle projects on average CO2 emissions will be financially evaluated and included in this indicator. In the successive restructuring of the Audi model portfolio, the Four Rings will utilize synergy potential within the Volkswagen Group to a much greater extent in the future, for example with the scaling of electric mobility via the PPE premium architecture developed together with Porsche, and Volkswagen’s modular electric-drive kit (MEB). Based on the Audi Transformation Plan, a sustainable efficiency boost is to be established throughout the company. “Across all divisions, we are placing a clear focus on our efficiency and the necessary cost orientation – with full transparency and effective early warning systems,” says Alexander Seitz. “This also includes being open to the fact that in some areas, we can achieve our goals faster, more effectively and more efficiently through partnerships.” Audi will increase its speed and agility also by reducing organizational complexity and by streamlining processes and management structures. With a new reporting structure that took effect in January 2019, the Audi Group is already focusing its organization and reducing complexity as a first step. Due to the inclusion of some multi-brand import companies, Audi’s consolidated financial statements previously included volumes and key financials from the sale of automobiles of other Group brands. They are now reported at the level of the Volkswagen Group. This has an impact on key figures of the Audi Group: For 2018, the new reporting structure would result in adjusted revenue of €53.6 billion instead of the reported €59.2 billion. Operating profit would be essentially unchanged, while operating return on sales after special items would be 0.6 percentage points higher than reported at 6.6 percent. Accordingly, the company is raising its long-term strategic target corridor for operating return on sales to nine to eleven percent. In the first months of this year, Audi is successively closing the remaining gaps in its product offering from the changeover to WLTP and is creating the conditions for a positive sales development. In the course of the year, inventories that had been ramped up in 2018 for supply management during the transition to WLTP will be reduced. For example, Audi had already gradually restarted the production of engine-transmission variants for which the company expected type approval in the near future, in order to ensure rapid availability for customers following official approvals. Once the required homologations have been received, these pre-specified vehicles will gradually flow out of inventories. In addition, the company is making intensive preparations for the next, equally demanding, stage of the WLTP test cycle, which will come into force on September 1, 2019 with even stricter legal requirements for all vehicles. Audi has increased its technical test-bench capacities by around a third in order to make implementation more manageable, and has added approximately 300 employees in Technical Development for homologation and powertrain development. The company has reduced its portfolio of engine-transmission variants by about 30 percent in line with market preferences, thus noticeably reducing complexity as a first step. This year will again feature a tight schedule of successive market launches. In total, Audi will once again present more than 20 new or updated models in 2019. The brand is sharpening its sporty image with nine new S models as well as four especially powerful R and RS models. The numerous new products are associated with correspondingly high ramp-up costs. Within the framework of the electrification initiative, the new Audi e-tron will be followed by the world premiere of the e-tron Sportback. Exclusively for Chinese customers, the Q2 L e-tron will be launched in 2019 as an electric model. In addition, six plug-in hybrid models will complement the range of new products this year. By the end of 2020, Audi will already have launched a total of twelve electrified vehicles, covering every segment. In 2019, the company will make substantial advance expenditure for the ramp-up of electric mobility and other topics of the future. 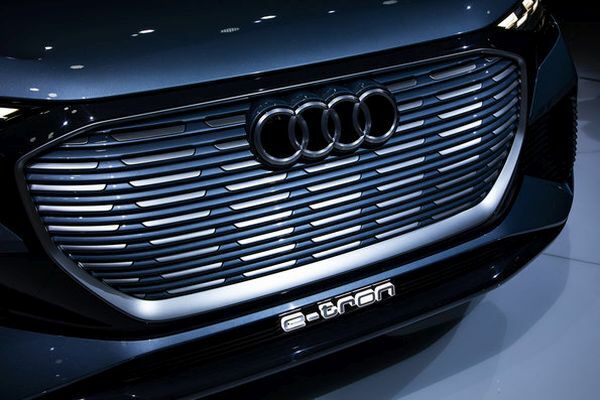 Audi forecasts a ratio of research and development expenditure to revenue slightly above the target corridor, which has risen to 6.5 to 7.0 percent due to revenue-reducing effects from the deconsolidation of the multi-brand sales companies. In 2019, the ratio of capital expenditure to revenue is expected to be within its target corridor of 5.5 to 6.0 percent, which has also been adjusted upwards. Audi will face challenges in 2019 also from negative macroeconomic developments and the currency and raw-material environment. The company will consistently take countermeasures with the systematic roll-out of the Audi Transformation Plan and other important measures. BMW i Ventures Announces Investment in Züm.